This meeting will take place from 21-22 October in Fourmies (Nord). The focus is on agriculture, trees and biodiversity, and an excellent programme of lectures, workshops and field trips has been organised. Full details are available here – from which the following text is translated …. 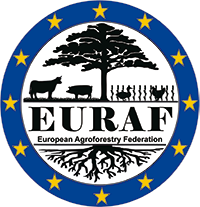 20 years ago Fourmies welcomed the ‘European Colloquium on the Future of Wooded Landscapes”: a meeting which emphasised the environmental threats to hedges and small woods within productive agricultural systems. In 20 years, from being a simple element within a woodland, the tree has been recognised as essential to both agriculture and biodiversity. Trees must also be recognised in policy terms as partners to agriculture, to biodiversity and to profitability. Between economics, biodiversity, carbon sinks and climate change, many new uses, new practices and new professions are emerging. At the cross-over between forestry and agriculture, modern agroforestry has been born. But how can we exploit these new practices and bring into effect the ecological advantages of mixing trees, agriculture and biodiversity? Welcome to Fourmies – where we can explore the roles of differnt actors in this new rural partnership.